SBI PO Mains Results 2018: State Bank of India are Released today the SBI Probationary Officer Mains Exam Result with Score card Roll Number Wise/ Name Wise with Category/ Caste wise Cut Off Marks in Online. The State Bank of India has successfully conducted the SBI PO Mains examination 2018 for all the ambitious candidates earlier in the month of August 4th. SBI is now Declared the SBI Probationary Officer Mains Examination Results 2018 on August 27th. A large number of aspiring candidates have applied and appeared for the SBI PO Prelims examination for about 2200 SBI PO posts. State Bank of India has conducted the exam for all the aspirants earlier this month. All the candidates who had applied and appeared for the SBI PO Mains examination are now eagerly looking for their results. As per the latest announcement, the candidates can check out their SBI PO Mains exam 2018 results on 20th august from the official website or from the direct link provided below. We will update the direct link for SBI PO Mains Exam Results 2018 in the space provided below. State Bank of India, which is termed as SBI is a Public Sector and Financial Services organization that is responsible to conduct different competitive examinations for all the eligible and aspiring candidates for the recruitment of various PO and Clerk posts. This year, SBI has released an official notification for the recruitment of 2200 Probationary Officer post vacancies and invited all the eligible and interested aspirants for online applications. A huge number of candidates have applied and appeared for the online examination of SBI PO Prelims which was held in June. The candidates can now check out their SBO Probationary Officer mains exam results from the official website that are declared on 27th August i.e., on Monday. The candidates who get qualified in the SBI PO mains examination will be eligible to appear for the SBI PO interview which will be conducts in september. 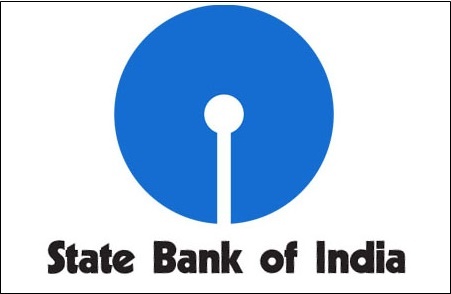 State Bank of India declared the SBI Probationary Officers (PO) Mains Exam results on August 27th. All the aspiring candidates who had applied and appeared for the examination for 2200 PO posts can now check out their SBI PO Mains Exam results 2018 from the direct link provided below or from the official website soon after the declaration. How to Check SBI PO Mains 2018 Results With Score Card? Step 1: First of all, visit the official website of SBI. Step 2: The home page of the official website of SBI Bank will be displayed. Step 4: You will be redirected to a new web page where you need to enter all the essential details like your registration number, date of birth and other necessary details in the provided fields. Step 7: Just click on the submit button. Step 8: The SBI PO mains Results 2018 will be displayed on the screen. Step 9: Download or take a printout of the Result for future reference. 1.4 How to Check SBI PO Mains 2018 Results With Score Card?